Interesting facts about a region of the country that is rough and unforgiving. This is at least what the travel books say. We will attempt to identify facts a little more personal to us as we make this adventure our own. Prudhoe Bay, on the northern Alaskan coast, is North America’s largest oil field. The fishing and seafood industry is the state’s largest private industry employer. 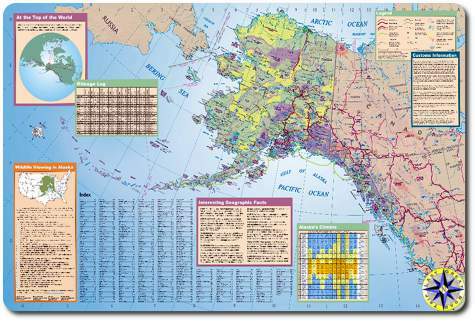 Alaska is the United State’s largest state and is over twice the size of Texas. Measuring from north to south the state is approximately 1,400 miles long and measuring from east to west it is 2,700 miles wide. Our adventure can be broken into three big chunks… After all this is Alaska so they have to be Big chunks as shown on this Alaska state tourist map. Alaska Marine Highway Alaska’s Inside Passage treats you to spectacular natural beauty, an unmatched variety of wildlife, plus a rich mixture of Native, Early Russian and Gold Rush history. For those of us coming from the “lower 48”, the trip north to Alaska on the marine highway begins at Bellingham, WA. At the northern end of the route, Haines, AK. links us to the Alaskan Highway. 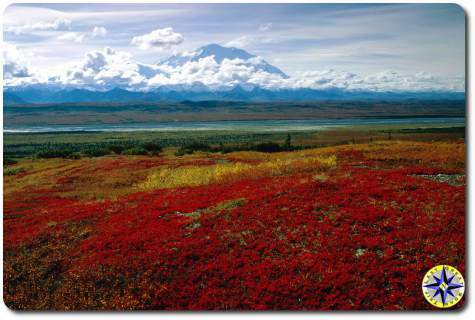 Alaska is a vast land, well deserving of the title, “The Last Frontier.” The majesty stretches from the lush forests of the Inside Passage to the open tundra of the North Slope, from the borders of British Columbia to the windswept Aleutian Islands. 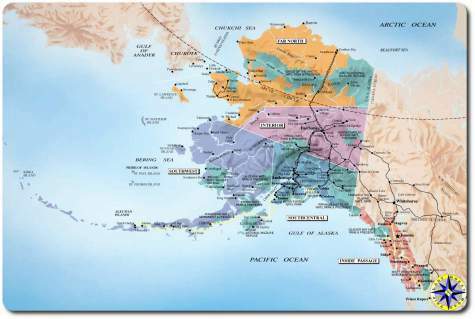 We will start by exploring these far flung communities by driving Alaska’s “other” highway. Haul Road The 424-mile Dalton Highway begins at Mile 73 on the Elliott Highway, 84 miles north of Fairbanks. 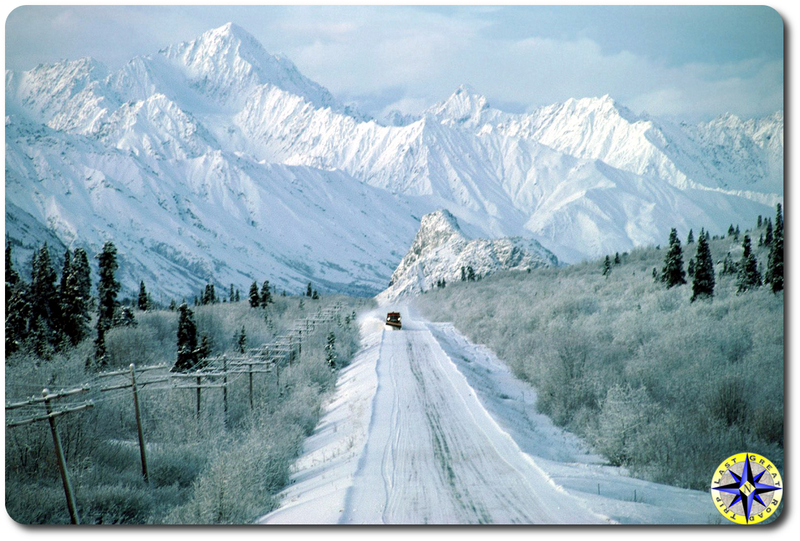 The Dalton Highway is unique in its scenic beauty, wildlife and recreational opportunities, but it is also one of Alaska’s most remote and challenging roads. Not for the timid or the unprepared. The Dalton Highway is one of the last great adventure roads in the United States. If you have the right vehicle and plan ahead, it can be one of the most satisfying drives of a lifetime. Mostly gravel, two lanes, hilly in places, bumpy in many, lonely with few service facilities along the way. Motorists need to watch for ruts, rocks, dust in dry weather, potholes in wet weather and trucks and road maintenance equipment at all times. For a more in depth look at Haul Road see “The Haul Road” is the road trip. ALCAN Construction of this highway officially began on March 8, 1942 and ended eight months and 12 days later on October 25, 1942. The bombing of Pearl Harbor in December of 1941 deemed the construction of the highway was a military necessity. Alaska was considered vulnerable to a Japanese invasion. The Alcan Highway stretches in a northwesterly direction from mile 0 at Dawson Creek, BC through Yukon Territory to mile 1520 at Fairbanks, AK. The Alcan highway does not compare with highways in the lower 48, it is no longer a wilderness road, but rather a road in the wilderness. The highway is open and maintained year-round. The highway is asphalt-surfaced, but the condition ranges from poor to excellent. There are many chuckholes, gravel breaks, poor shoulders, and bumps. 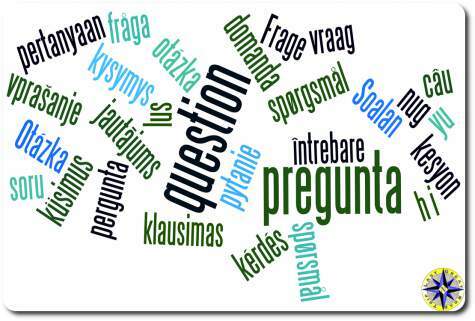 Leave any question or comment you have for the team on our off-road adventure Facebook page . 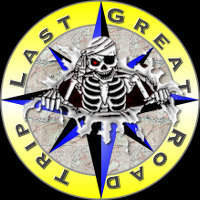 Or email us info at last great road trip.com . Please let us know what you think of our off-road adventures or let us know what you want to hear more about. We’ll try to answer you from the road or wherever we are.